With this, and an incredible gift of water from the Well of Danee on Iona, I began what turned out to be a two-year study of water. Since I’ve now felt the call to study a different element for a time, I wanted to share some insights about this journey, my understanding of nature throughout the seasons, and give some suggestions for those who want to engage in advanced, extended study of water. I’ll also note that for those of you who aren’t familiar with the OBOD’s Bardic Training course, the course is a wonderful introduction to studying the elements and is a good first step–I did this work years ago, so I was returning to water for a more intensive study. The work with the elements, a strong part of the druid revival tradition, is never complete–we can continually return to them and gain deeper understanding. Water is expressed in three states–liquid, solid, and gas. We most often interact with it in the liquid state, but we can see representations of its three-fold nature in many things. Its the only element that has such a nature, and this allows it to be incredibly adaptable. Its three-fold nature also allows it to interact with all of the other elements–rivers and lakes flow upon the earth, heat transforms water into its three states, and air allows for it to cycle. 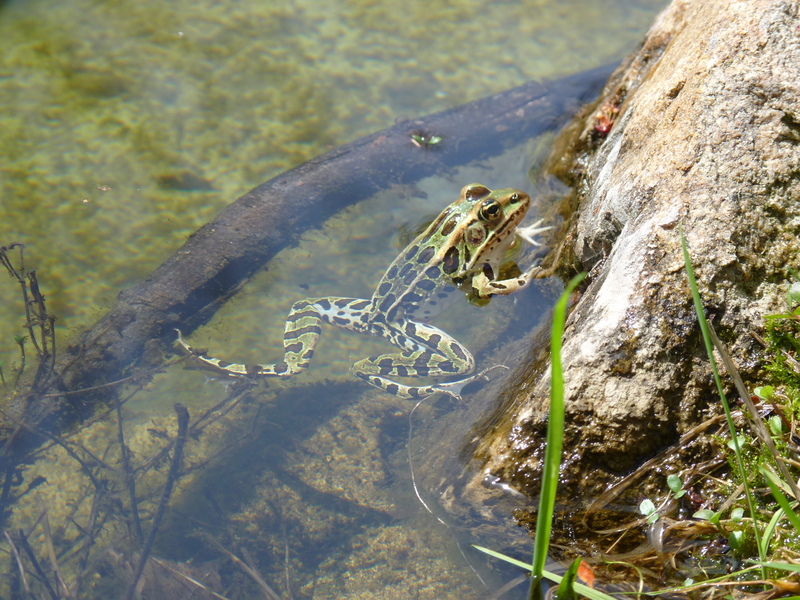 One of the most basic ways of studying water is just observing and interacting with it in the natural world (and those of you familiar with permaculture design will recognize the 1st principle of permaculture at play here–observe and interact). Water is synonymous with life. Without water, we can’t survive more than a few days–because we are, like most life on this planet, made up of mostly water. Life began in the element of water–in the primordial seas on this planet 3.8 billion or so years ago. Its the quest for water–and therefore life–that drives much of our space exploration.Water teaches us the power of adaptability, change, and flow–yet also power, persistence, and destruction. It can be as gentle as it is terrible. Water is one of the primary vehicles of change as the wheel of the year turns. The winter is a time when the water turns to its solid state–lakes freeze over, the water within the ground freezes, and water falls as snow, blanketing everything. Each snowflake is a world into itself, a unique gift, the Awen of the universe expressed in minute form. The water, in its frozen state, brings about a calmness, a quietude, and a tranquility. As we go into winter, this is the time when we reflect deep within ourselves, when we too find rest. The water requires and demands this rest in its solidity. storms–or droughts–mark the passing of the wheel. Humidity rises, mosquitoes come out seeking the water within each of us, the berries burst forth, and the wheel continues to turn. Into fall, it becomes hotter and dryer, and the vegetables and fruits are harvested. When we harvest vegetables, we must pay attention to their water content–for losing water is to lose freshness, to lose firmness, and takes much of the taste away. By the time frosts and cold begin to once again blanket the land, water again is the agent of change. When the first frosts come, the water cells in the plants (especially the sensitive plants, such as many in the nightshade family) crystallize and then burst–this process marks the transition from liquid to solid state, and from fall to winter. This is why the first and last frost are probably the two most important times to know when gardening–it marks the passage of the season. 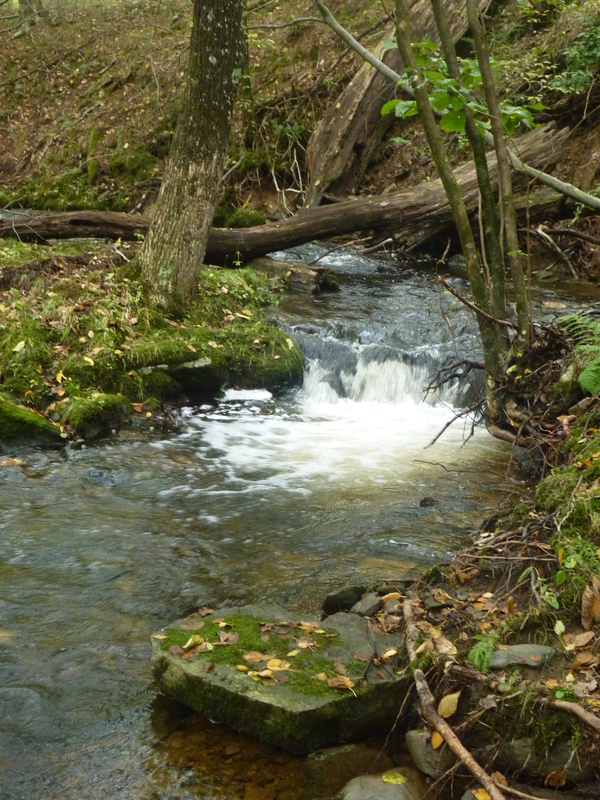 One of the ways that I worked with water in the last two years was by visiting many different bodies of water, communing with the spirits, and collecting water (with permission) from each of the sites. How you find these sites is a matter of good listening and intuition–sometimes I would simply go places and see what I came across. But I also studied maps to understand bodies of water and flow in my area, and often, I would see a place on the map I knew I needed to visit. In communing with the spirits, I would bring an offering (bread for the fish and/or tobacco, which works very well for the spirits of this land), open up a sacred space, and then sit in quiet reflection and meditation. I found that communing works best when you are physically in the water or on its surface. 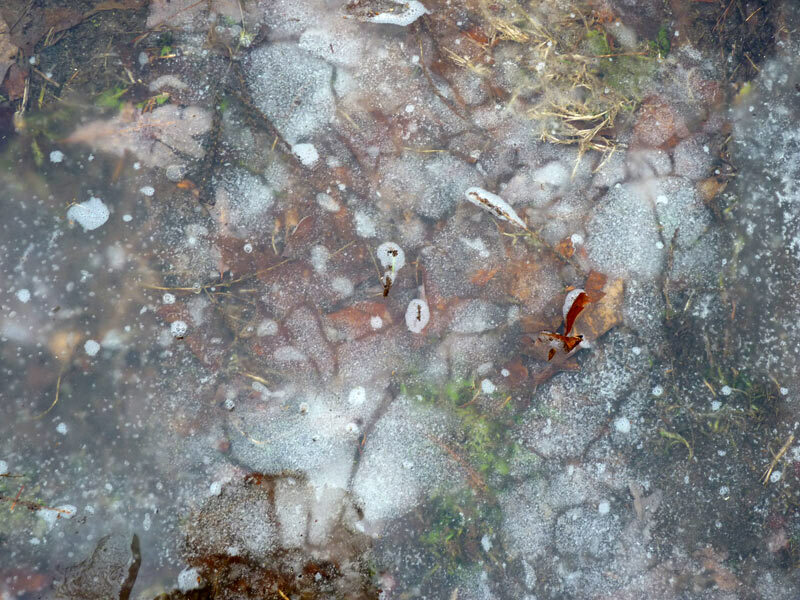 Frozen ponds work just as well as wading in the summer, but your experiences will be radically different due to the changes in the energetics of the seasons–this is something also to pay attention to. Here’s one such example: for the last two summers, I took the hour or so drive north to Bay City State Recreation area which is on the edge of Lake Huron. I was lead to this spot initially by looking at a map. This turned out to be a perfect place to commune with the Great Lake Huron–there are a series of sandbars that go very far out into the lake and it is quite shallow. You can easily wade 500 feet or more out into the lake–so far that the shore is tiny, and you feel like you are in the middle of the lake, and nobody is anywhere near you. I’d sit in less than a foot of water out there and open up a magical space (using a modified version AODA’s solitary grove opening). And then I would wait and see what happened–and the most amazing things happened, each time I visited. I saw rainbows, butterlfiles, herons, geese, fish, and so many more things. I met the Lady of Lake Huron, who has taught me many things about the nature of water, especially in the Great Lakes region where I live. Seeking out these local water spirits, and working with them, can give you deeper insights into the nature of the element you are working with as well as the surrounding landscape. My journeys to various watery sites and the gathering water at most of those sites has lead to quite a collection of water–from the Great Lakes Huron and Erie, from the Gulf of Mexico, the Atlantic, and the Pacific Ocean, from the Delaware Water Gap and various rivers, streams, and sacred pools. Perhaps the most unique place I collected water was at Penn’s Cave, a water-filled cave in Western PA where you can only access it by boat. At each location, I would spend time communing with the body of the water and then bring water back with me to put on my altar and continue to work with it. The water altar is simple–its a series of vials with labels and other watery materials–shells, smooth stones, and the like. I’ve always kept elemental altars in my home, but this one took on such special meaning with all of the care I put into its construction. I worked to bring water into my life in other ways as well–I also brought water into my work environment–a small fountain, purchased used at a flea market, sits on my windowsill with my beautiful plants. The magical work of water is wide-ranging and powerful. I practiced water-based divination, where I would spend time just observing the surface of my pond or gazing into a bowl of water. I also focused on conducting water healing rituals, such as the ritual I posted last year for our grove’s Imbolc celebration (and this one was later performed at the Pan-Druid Beltane, 2013). With each of these experiences, I documented my findings in a “water journal” which has become a source of inspiration–as well as the material for this blog post :). 1) Find a river or stream that you have a connection with. If its too large, the journey could take a really long time, as a warning :). The one I started with flowed through a forest and was about 10 feet across when I started. It took about 8 hours. 2) Follow that river upstream as it gets smaller and smaller. At each branch, take the largest branch (or follow your intuition). 3) See where the path leads you, and what insights you have. My journey was detailed in my previous blog post…but let’s just say, I plan on taking other journeys in the near future along waterways :). You could also do the opposite–get in a kayak, get in a small stream, and see where the water takes you! There are different kinds of elemental spirits and ways to commune with them–delving into the roots of esoteric wisdom and spiritual teachings in many traditions will likely give you deeper insight. For example, as part of my work with water, I studied and worked with the elemental spirits of the alchemical tradition, the Undines (and writings by Paracelsus or Manly Hall can lead you in this direction.) I started learning spagyrics (plant alchemy) recently as part of my Celtic Golden Dawn training, and these original studies ended up being fruitful in many ways. In mythology broadly, water, water creatures, and water deities form a central role. From the Chinese Dragon Kings who lorded over the seas in the four directions to the Scandinavian Fosse Grim, you can learn much about the nature of water in this way. A study of water wouldn’t be complete without research into the challenges that the world faces concerning water. A visit to San Diego a year ago and seeing the strain on water resources and my teaching of a course in research methods with a sustainability theme prompted me to study more about the Colorado River and issues in the Southwest. More locally, I also studied threats to the Great Lakes region, which include oil pipelines, nuclear waste dumps, and Asian carp. These lessons are important, and can help me meld my spiritual understandings with the nature and lessons of water with action in the world–especially on a local level. Dear blog readers, I would love to hear from you on your experiences and insights into the nature of water! Nice :). Do you do that when you are calling water in the western quarter? `Thanks for this in-depth work. You remind me how much more I could do to work with the elements. Alice, thanks for your comments too. That’s a very nice water blessing! This is a great post. The breadth and depth of the topic shared was very impressive and inspiring 😀 I am very strongly considering starting the OBOD Bardic course, so posts like this help me get a feel for how much I want to invest in that endeavor. Alainfae, let me know if you have any questions about the Bardic course. Its really a wonderful course. The Ovate course (which comes after the Bardic one) really changed my whole life–for the better! Thank you very much for sharing your experience. It is quite interesting and inspiring. This is something that I have wanted to work on while I am living in the Caribbean so close to Grandmother Ocean. Its a very different water from the Great Lakes, where I grew up. I hope that you continue to share what you can about your elemental workings. Hopefully it won’t take me two more years to have more insight! I did some work recently in the Gulf of Mexico with the water–doing the Celtic Golden Dawn version of the Ritual of the Pentagram…it was epic and awe-inspiring. Its really interesting to do magical work while in bodies of water. I would love to hear about your experiences as well! Haha. It is kind of hard to find places to work down here. The locals are a very superstitious crowd and the more remote beaches are difficult to access. There is also the fact that school leaves me hardly any free time. But I have another year on the island and I plan to do as much as I can with the time that I have. I have had some success when I first got here but not much since. Ill be writing about it as I go, though. I look forward to your continued progress on this topic. 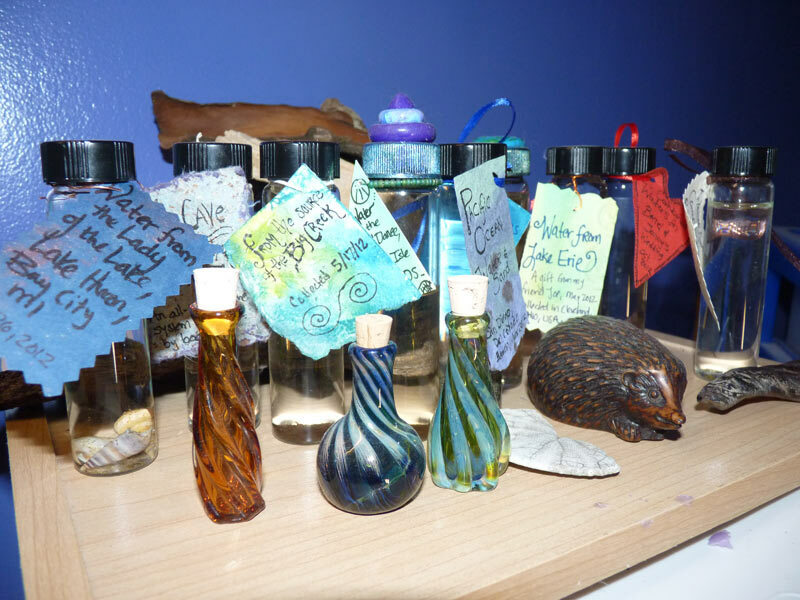 Oh, the spirits of the great lakes! They are so wonderful, so inspiring :). I am familiar with Dr. Emoto’s work! Its amazing–one of the things I looked at as part of this journey. Thank you for the comments, Holly, and I hope to hear more about your elemental journeys! I’ve found a number of sites in Cincinnati that have old springs. Some have spring houses and some do not. It’s nice to get friendly with all the beings around these places and do what might need to be done. Justin- yes! I started exploring places like “indian springs” and so forth–the old place names can tell you much about what is located within :). I swam in a hot springs in Lolo, Montana this summer…it was neat to be so close to where the water was coming into the pool and looking up and seeing the mountains and feeling the breeze…very connected to the elements!